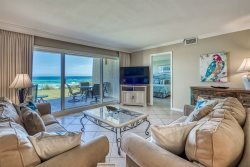 Ariel Dunes 2br/2ba Condo Panoramic Gulf Views - Great Deals! Silver Shells - St Lucia 801-NEWLY REMODELED & Great Views! Silver Shells - St. Maarten 902 with a beautiful view of the Beach. Beach House 304D - Newly Renovated! Pet Friendly 3BR/2BA home, Short walk to beach! Hidden Dunes Beach Cottage 148 - Miralargo NEW Furniture in Livingroom!